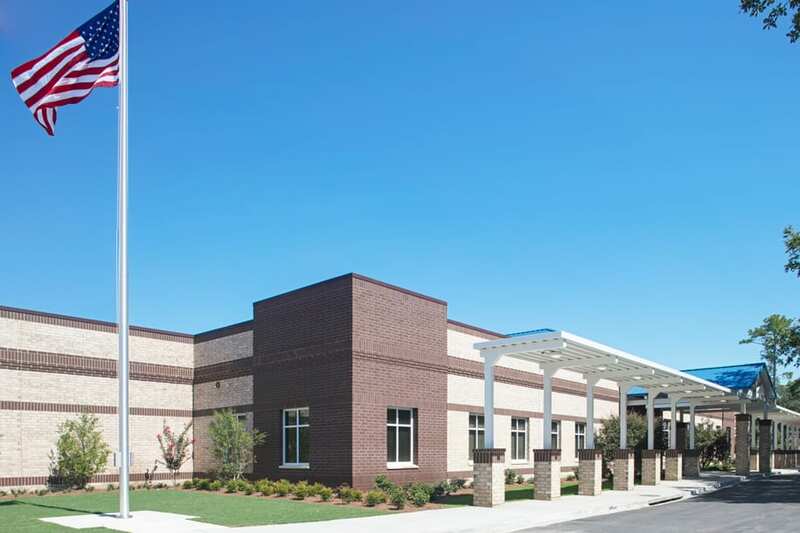 Hussey Gay Bell is the Architect & Engineer of Record for this new, $24M, 950-student elementary school of approximately 130,000 SF. 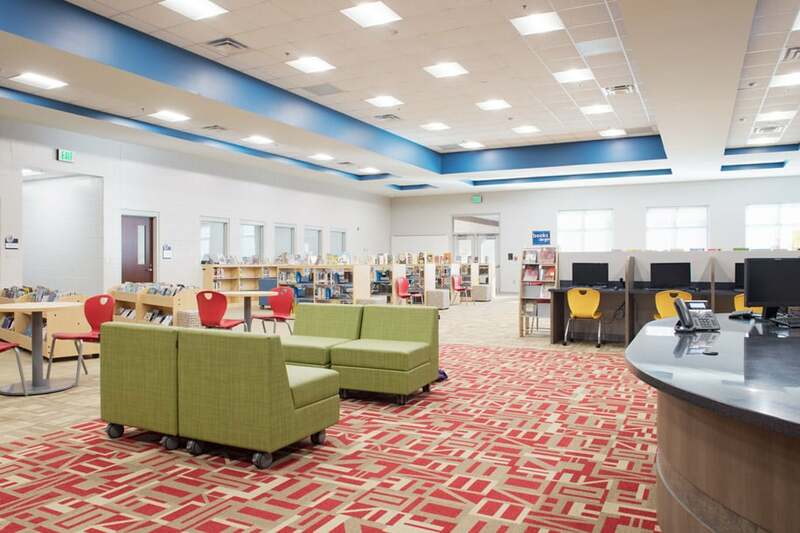 Core spaces were sized to accommodate 1,000 FTE. 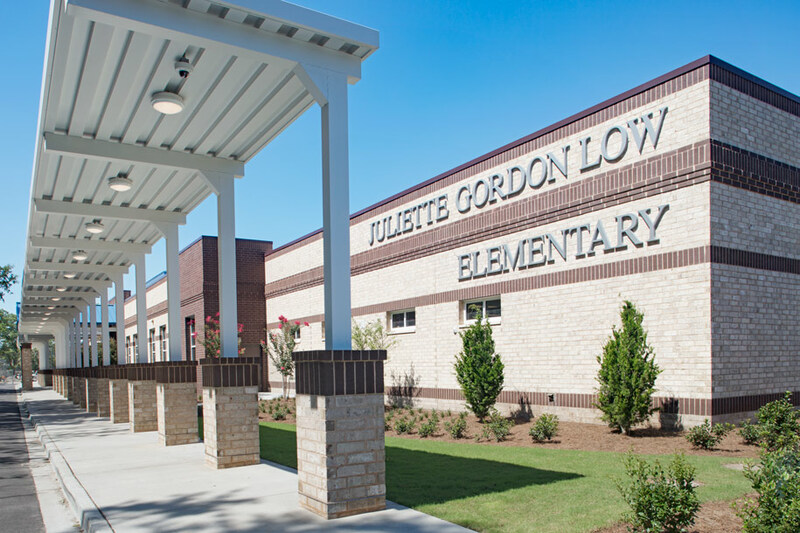 Located on the same campus as Jenkins High School, Juliette Low also houses Savannah’s severe and profound population for this age group. 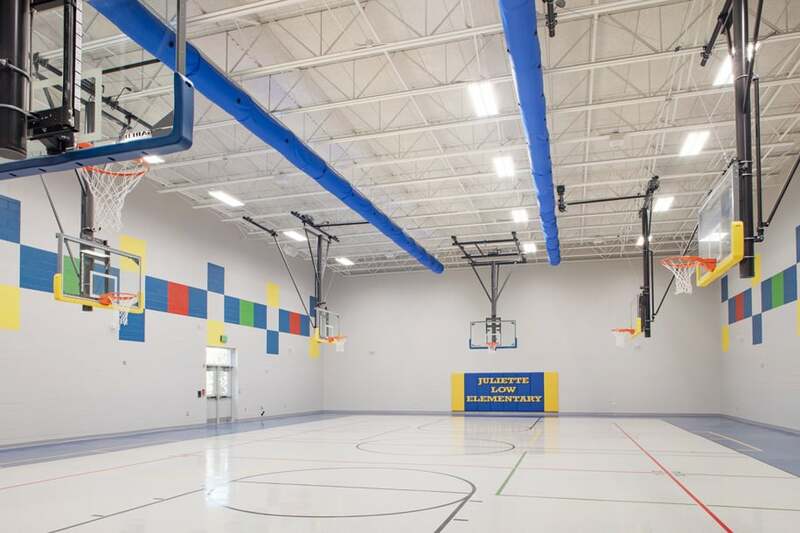 The school was relocated into temporary on-site portables during the school year while the existing school was removed and the replacement school was built in its place. 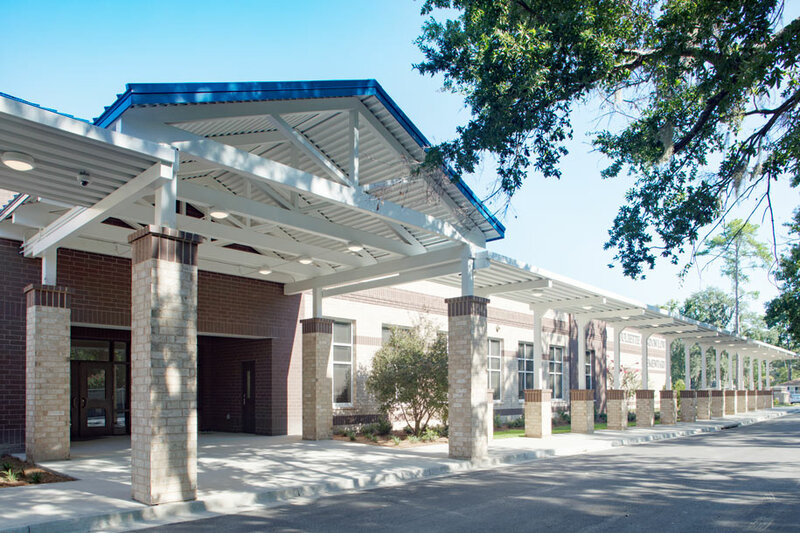 All demolition, new construction, site work and utilities for the new school was included in the project’s phased construction scope along with managing the eventual removal of the modular temporary campus located on site. 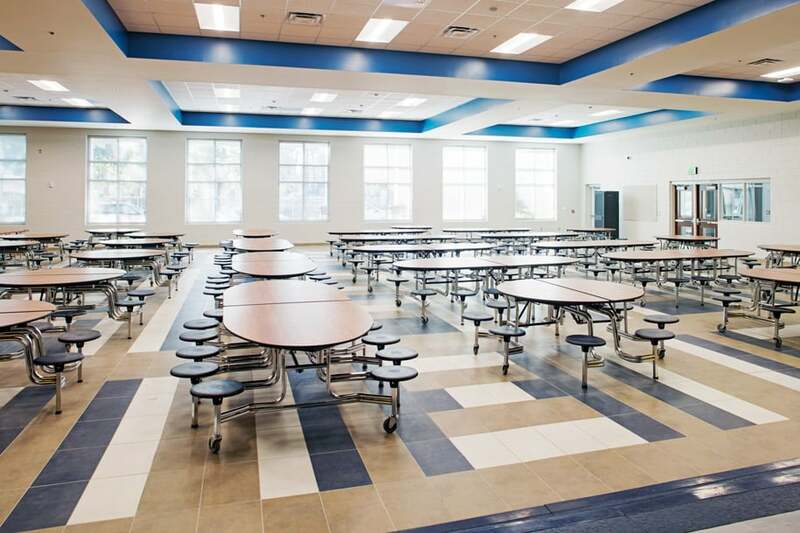 It was constructed by Savannah-based, JE Dunn Construction Company. 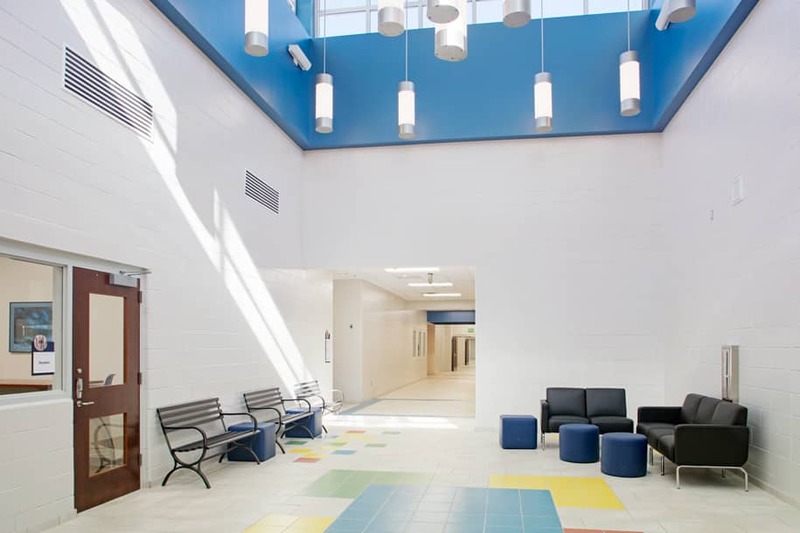 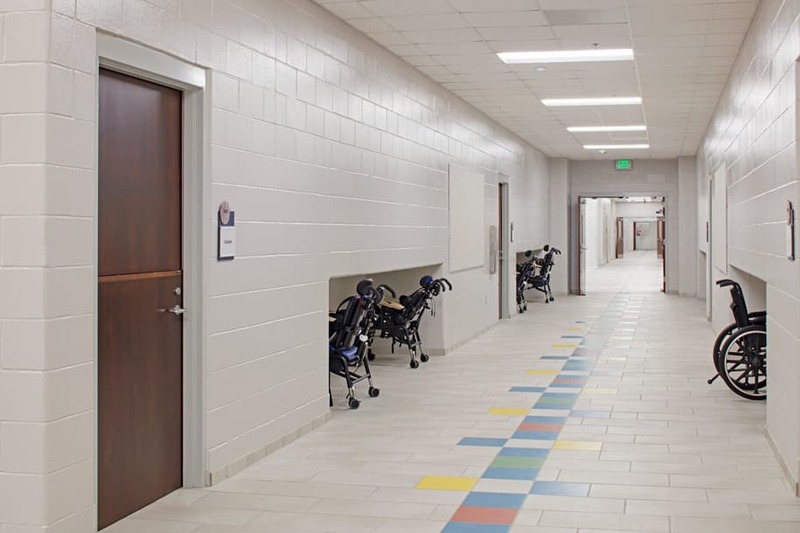 Yet another complex project successfully designed and delivered to the Savannah-Chatham County Public School System, the new 130,000 SF Juliette Low Elementary School is now well-equipped to take care of Savannah’s severe and profound children in addition to traditional students.